Maritime history of Europe includes past events relating to the northwestern region of Eurasia in areas concerning shipping and shipbuilding, shipwrecks, naval battles, and military installations and lighthouses constructed to protect or aid navigation and the development of Europe. Europe is situated between several navigable seas and intersected by navigable rivers running into them in a way which greatly facilitated the influence of maritime traffic and commerce. Great battles have been fought in the seas off of Europe that changed the course of history forever, including the Battle of Salamis in the Mediterranean, the Battle of Gravelines at the eastern end of the English Channel in the summer of 1588, in which the “Invincible” Spanish Armada was defeated, the Battle of Jutland in World War I, and World War II’s U-boat war. Defeat of the Spanish Armada, 1588-08-08 by Philippe-Jacques de Loutherbourg, painted 1796, depicts the battle of Gravelines. Although the Egyptians built the first sea-going ships, the Minoans of Crete were the first great seafarers of the Mediterranean Sea. Little is known of their ships, but they reportedly traded pottery as far west as Sicily, and their King Minos conquered the islands of the Aegean (according to Thucydides). The Battle of Salamis occurred in September 480 BC, when the Greeks, with 371 triremes and "pentekonters", routed a Persian force of over 1,200 ships under the command of King Xerxes. Persian losses amounted to some 200 ships and 20,000 men. The battle was fought near Athens, Greece, in the straits between Piraeus and Salamis. Depiction of Greek fire in the Madrid Skylitzes manuscript. Roman galleys helped to build the Roman Empire. 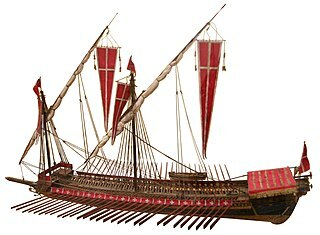 The empires’ struggle with Carthage inspired them to build and to fight in war galleys, but the galleys did not have much cargo space, so “round ships” were constructed for trade, especially with Egypt. Many of these ships reached 200 feet (61 m) in length and were capable of carrying over a thousand tons of cargo. These ships used sail power alone to haul commodities in the mediterranean. The volume of trade that the Roman merchant fleet carried was larger than any other until the industrial revolution. We know quite a bit about these round ships, since Romans, like Egyptians and Greeks, left records in stone, sometimes even on a sarcophagus. There were many shipwrecks of Roman vessels, which can be explained by the very large number of trading vessels during Roman times since the volume of sea trade in the mediterranean reached a quantity to be only equaled in the 19th century. This greatly increased the number of shipwrecks. The western Mediterranean came under the control of the barbarians, after their invasion split the Empire in two, while Byzantium dominated the eastern half of the sea. The eastern empire lasted until 1453, such was the efficiency of the Byzantine navy, with its fleets armed with Byzantine fire (or Greek fire), a mixture of naphtha oil and saltpetre, fired through tubes in the bows of the ship. Enemy ships were often afraid to get too close to the Byzantine fleet, since the liquid fire gave the Byzantines a considerable advantage. Also called the Vikings, the Norsemen raided towns and villages along the coasts of the British Isles, Scandinavia, as far south as Cádiz, Spain and even attacked Pisa, Italy in 860. They sailed up the Seine River in France, settled Normandy (which derives its name from the Norsemen), and settled Dublin after invading Ireland. Varangians were more concerned with trading than raiding, and sailed along Russian rivers and opened commercial routes to the Caspian Sea as well as the Black Sea. The Vikings were the best naval architects of their day, and the Viking longship was both large and versatile. A longship found at Oseberg, Norway, was 76 feet 6 inches (23.32 m), more than 17 feet (5.18 m) wide, and had a draft of only 3 feet (0.91 m). The shallow draft enabled them to navigate far inland in shallow rivers. Later on during the Viking period some of the ships were reported to be over 100 feet (30 m) long. No 9th century text has ever been discovered containing these words, although numerous medieval litanies and prayers contain general formulas for deliverance against unnamed enemies. The closest documentable phrase is a single sentence, taken from an antiphony for churches dedicated to St. Vaast or St. Medard: Summa pia gratia nostra conservando corpora et custodita, de gente fera Normannica nos libera, quae nostra vastat, Deus, regna, ”Oh highest, pious grace, free us, oh God, by preserving our bodies and those in our keeping from the cruel Norse people who ravage our realms.”. The Hanseatic League was an alliance of trading cities that established and maintained a trade monopoly over the Baltic Sea and most of Northern Europe for a time in the later Middle Ages and the Early Modern period, between the 13th and 17th centuries. Although trading alliances in the region were forming as early as 1157, the town of Lübeck did not form an alliance with Hamburg (which controlled access to salt routes from Lüneburg), until 1241. Trade was carried on chiefly by sea in order to escape tolls and political barriers, and at the end of the 15th century the Hanseatic League controlled some 60,000 tons of shipping. Although compasses were commonly being used in the Mediterranean during this period, the captains of Hanseatic vessels seemed slow to adopt the new technology, which put them in greater danger of wrecking. They also had to deal with pirates. The League’s power waned when the great herring shoals disappeared in the Baltic, possibly because of a decline in the sea’s salinity. During the late 16th century and early 17th century, the League fell apart, as it was unable to deal with its own internal struggles, the rise of Swedish, Dutch and English merchants, and the social and political changes that accompanied the Reformation. Although a tight-fisted monopoly, the League’s need for more cargo space led to new designs in shipbuilding, and its free association of about 160 towns and villages was a historically unique economic alliance that showed the benefits of well-regulated commerce. Around 1300, Venice began to develop the great galley of commerce, the ‘’galea grossa’’. It grew to carry a crew of more than 200 and weighed as much as 250 tons. These galleys took passengers and goods to Constantinople (now Istanbul), and to Alexandria in Egypt, and returned to Venice carrying luxury items. A sea route to the Indies discovered by Portugal signaled an end to the glory days of Venice's merchant galleys and spice trade, but the war galleys (or fighting galleys) lived on. The war galleys were mostly manned by prisoners of war or convicts, who were chained to benches, usually three to six per oar. More than 3,000 Venetian merchant ships were in operation by the year 1450. The trading empire of the Republic of Venice lasted longer than any other in history, and even merchants vessels were required to carry weapons and passengers were expected to be armed and ready to fight. From the beginning of the 13th century until the end of the 18th century, the Republic ruled the Adriatic, the Aegean and the Black Seas. The Republic of Genoa was Venice’s main rival, and many wars were fought between them. In 1298 the Genoese destroyed the Venetian fleet at Curzola, but were themselves defeated in 1354 at Sapienza in Greece. The Age of Discovery started with the Portuguese navigators, where Prince Henry the Navigator started a maritime school in Portugal. The resulting of this technical and scientific discoveries led Portugal to develop the most advanced ships, including the caravel, the carrack and the galleon, where for the first time in history maritime navigation was possible. The Portuguese Empire led the Portuguese Kingdom to discover and map most of the globe, and find seas routes as far as the East and West, such as the remarkable voyage to find the sea route to India via the Cape of Good Hope. Initially Bartolomeu Dias left Portugal and rounded the Cape of Good Hope, with Vasco da Gama reaching the southern tip of Africa and on-wards to India. It was the first time in history that humans had navigated from Europe around Africa to Asia. It led to the discovery of Brazil and South America, and the first circumnavigation around the world, with the Portuguese nobleman Ferdinand Magellan, sailing around the world, across the entire Pacific Ocean for the first time. At the beginning of the 16th century, sea clashes in the Indian Ocean as the decisive Battle of Diu, in 1509, marked a turning point in history: the shift from the Mediterranean and from the relatively isolated seas, disputed in antiquity and in the Middle Ages, to the oceans and to the European hegemony on a global scale. Christopher Columbus set sail in Santa Maria on what is probably history's most well known voyage of discovery on August 3, 1492. Leaving from the town of Palos, in southern Spain, Columbus headed west. After a brief stop in the Canary Islands for provisions and repairs, he set out for Asia. He reached San Salvador first, it is believed, (easternmost of the Bahamas) in October, and then sailed past Cuba and Hispaniola, still searching for Asia. He returned home in 1493 to a hero's welcome, and within six months had 1,500 men and 17 vessels at his command. The year 1571 saw the last great battle between galleys, when more than 400 Turkish and Christian vessels engaged each other on the Gulf of Patras. 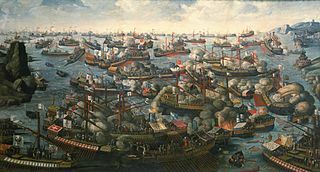 The Battle of Lepanto as it was called, saw some 38,000 men perish. Miguel de Cervantes, author of Don Quixote, was wounded during the battle. In April 1587, Sir Francis Drake burned 37 Spanish ships in the harbor at Cádiz, in southern Spain. The publication of Jan Huygen van Linschoten's book Voyages provided a significant turning point in Europe's maritime history. Before the publication of this book, knowledge of the sea route to the Far East had been well guarded by the Portuguese for over a century. Voyages was published in several languages, including English and German (published in 1598), Latin (1599), and French (1610). Widely read by Europeans, the original Dutch edition and the French translation had second editions published. Once knowledge of the sea route became available to all Europeans, more ships headed to East Asia. A Dutch fleet embarked on a voyage to India using Linschoten's charts in 1595. (The Dutch version of his book was published in 1596, but his sea charts had been published the previous year). The publication of the nautical maps enabled the Dutch and British East India companies to break the trade monopoly Portugal held with the East Indies. Protestant Europe was ushered into the age of discovery in large part thanks to his work. From the sixth to the eighteenth centuries, the maritime history of Europe had a profound impact on the rest of the world. The broadside-cannoned full-rigged sixteenth-century sailing ship provided the continent with a weapon to dominate the world. During this time period, Europeans made remarkable inroads in maritime innovations. These innovations enabled them to expand overseas and set up colonies, most notably during the sixteenth and seventeenth centuries. They developed new sail arrangements for ships, skeleton-based shipbuilding, the Western “galea” (at the end of the 11th century), sophisticated navigational instruments, and detailed charts. After Isaac Newton published the Principia, navigation was transformed. Starting in 1670, the entire world was measured using essentially modern latitude instruments and the best available clocks. In 1730 the sextant was invented and navigators rapidly replaced their astrolabes. For several centuries, from about the time of the Crusades until the early 19th century, the Barbary pirates of northern Africa preyed on ships in the western Mediterranean Sea. In 1816, the Royal Navy, with assistance from the Dutch, destroyed the Barbary fleet in the port of Algiers. The best-known pirate of this period may have been Barbarossa, the nickname of Khair ad Din, an Ottoman-Turkish admiral and privateer who was born on the island of Lesbos, (present-day Greece), and lived from about 1475-1546. July 1779 saw the start of the Great Siege of Gibraltar, an attempt by France and Spain to wrest control of Gibraltar from the British. The garrison survived all attacks, including an assault on September 13, 1782 that included 48 ships and 450 cannon. In October 1805, the Battle of Trafalgar took place, which involved 60 vessels, 27 British, and 33 French and Spanish. 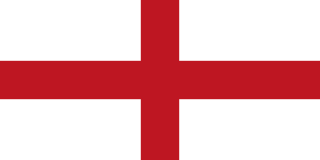 The British did not lose a single ship, and destroyed the enemy fleet, but Admiral Lord Nelson died in the battle. It was the most significant naval battle of the beginning of the 19th century, and confirmed the British Navy’s supremacy of the time. The Pharos of Meloria is often considered the first lighthouse in Europe since Roman times. Meloria, a rocky islet off the Tuscan coast in the Tyrrhenian Sea, was the location of two medieval naval battles. The Tower of Hercules (Torre de Hércules), in northwestern Spain, is almost 1,900 years old. The ancient Roman lighthouse stands near A Coruña, Galicia, and is 57 metres (185 ft) in height. It is the oldest working Roman lighthouse in the world. According to Smithsonian, a lighthouse on the Gironde River in France, Cardovan Tower, was the first lighthouse to use a Fresnel lens in 1822. The light reportedly could be seen from more than 20 miles (32 km) at sea. ^ "Origin of the phrase, "A furore Normannorum libera nos, Domine"". The Viking Answer Lady. Archived from the original on 1 December 2010. Retrieved 1 January 2019. ^ Magnusson, Magnus (1980). Vikings!. New York: E. P. Dutton. p. 61. ISBN 0-525-22892-6. The Battle of Djerba took place in May 1560 near the island of Djerba, Tunisia. The Ottomans under Piyale Pasha's command overwhelmed a large joint Christian Alliance fleet, composed chiefly of Spanish, Papal, Genoese, Maltese and Neapolitan forces. The allies lost 27 galleys and some smaller vessels as well as the fortified island of Djerba. This victory marked perhaps the high point of Ottoman power in the Mediterranean Sea. Kemal Reis was an Ottoman privateer and admiral. He was also the paternal uncle of the famous Ottoman admiral and cartographer Piri Reis, who accompanied him in most of his important naval expeditions. 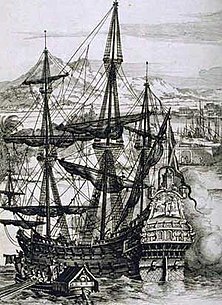 Galleasses were military ships developed from large merchant galleys. Converted for military use, they were higher, larger and slower than regular ("light") galleys. They had up to 32 oars, each worked by up to 5 men. They usually had three masts and a forecastle and aftcastle. Much effort was made in Venice to make these galleasses as fast as possible to compete with regular galleys. The gun deck usually ran over the rowers' heads, but there are also pictures showing the opposite arrangement. The Fourth Ottoman–Venetian War, also known as the War of Cyprus was fought between 1570 and 1573. 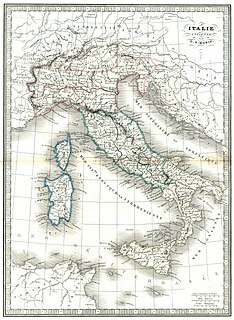 It was waged between the Ottoman Empire and the Republic of Venice, the latter joined by the Holy League, a coalition of Christian states formed under the auspices of the Pope, which included Spain, the Republic of Genoa, the Duchy of Savoy, the Knights Hospitaller, the Grand Duchy of Tuscany, and other Italian states.